A new 300Mbps (megabits per second) internet service launch from TDS means customers can work faster online, telecommute and take more online classes. It also means they can download movies, television shows, music and video games at faster rates. 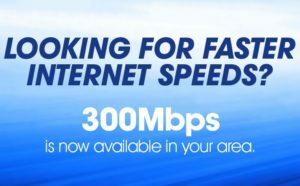 “Now, St. George and Mesquite have 300Mbps! Leaps and bounds above the national average,” said Shane West, vice president of Marketing and Product Development for TDS. The average worldwide internet speed is 5.1Mbps, according to a report from PC News. In the United States the average internet speed is 12.6Mbps. TDS Ultra 300 provides TDS customers up to 300 Mbps download and up to 10 Mbps upload speed. TDS has invested and will continue to invest in our network to provide faster internet speeds to our customers. “Those improvements have paved the way for upgrades like Ultra 300,” West said. TDS Ultra speeds give you faster website load and faster speeds to better support multiple devices, added West. TDS business customers can expect new internet tiers by the end of this year. Customers can learn more about Ultra 300 at HelloTDS.com/300 or by calling 1-855-856-3756. 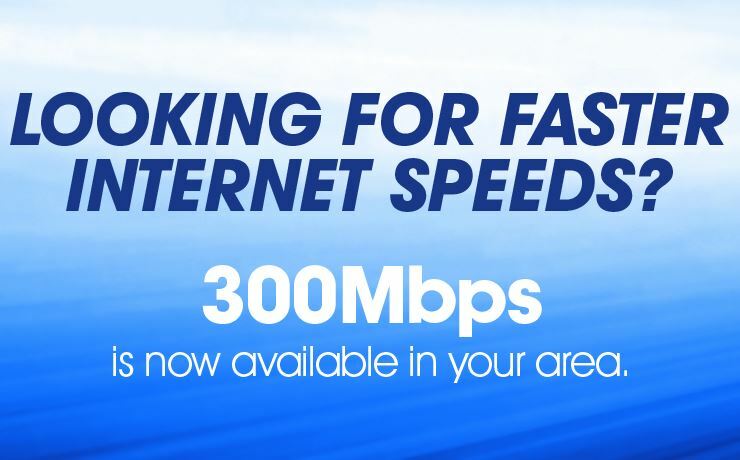 I would LOVE to upgrade to 300mbps, but unfortunately TDS doesn’t value existing long term customers so I would have to pay an absurd price in comparison to new customers or pay extra to add your unneeded and unwanted phone service and deal with a service visit and new modem, etc.